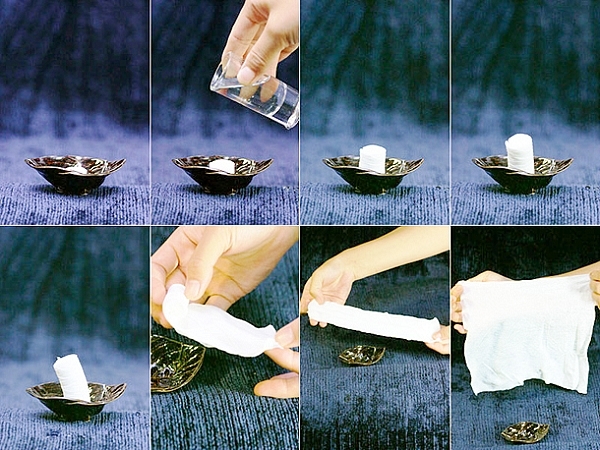 Hydraulically compressed tissue expands by adding water. 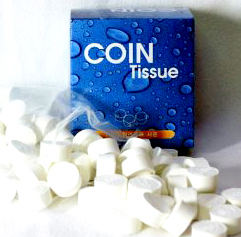 Simply pour cold or warm water over a Magic Coin and it is ready to use! Caution: Do not eat. Do not flush. Keep out of reach of children.